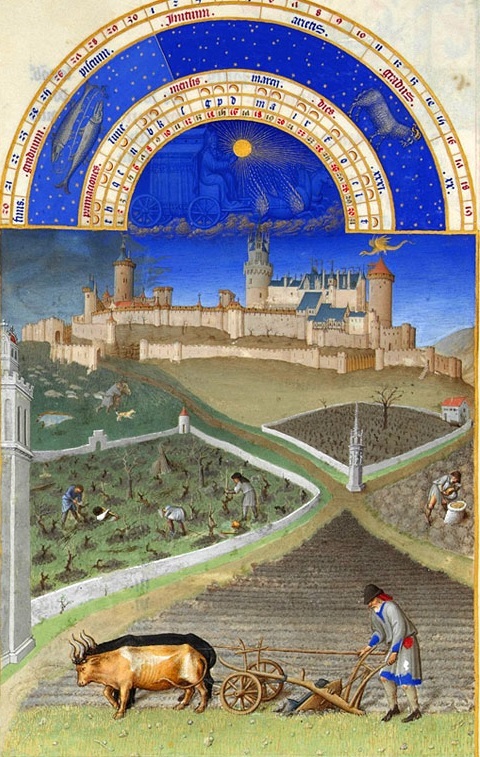 I can nought parfitly my pater noster as the prest it syngeth, but I can rymes of Robyn Hode and Randalf erle of Chestre – The Vision of Piers the Plowman (c.1380) by William Langland. The lines above are the first recorded literary reference to Robin Hood, dating from around the year 1380 in a poem by William Langland entitled The Vision of Piers the Plowman. This means that by the late medieval period ‘rymes of Robyn Hode’ were already in general circulation. Yet, the earliest ballads of Robin Hood weren’t printed until around the late 1470s, almost 100 years later. The reason for this is that the ballads of Robin Hood were originally transmitted through generations orally, by word of mouth. England before the advent of the printing press was a predominantly oral society, and it was only really the monks in the abbeys, along with those at the upper end of the society, who could read and write. 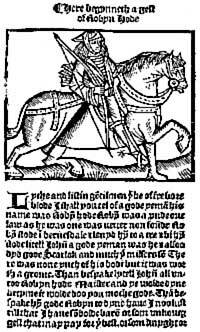 Can we be sure then, that the printed ‘Lytell Geste of Robyn Hode’ (c.1470), is really what earlier medieval people would have heard? Still in doubt as to how accurately things can be transmitted orally over generations? I’ll give you another example you’ll probably know from your own lives. Think about the various nursery rhymes which you know. 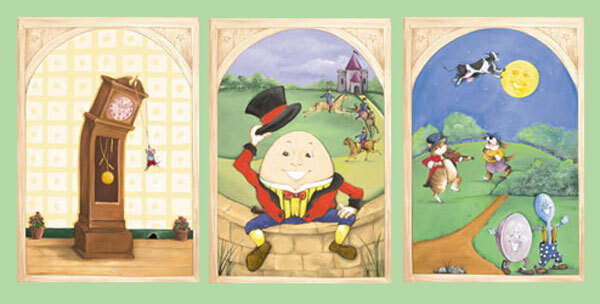 You probably know by-heart various rhymes such as ‘Humpty Dumpty’, or ‘Oranges and Lemons’. Who taught you those rhymes? It’s very unlikely that you ever bought/purchased a book of nursery rhymes. It is more probable that you heard the rhymes from your parents, who in turn heard it from their parents, who heard it from their parents, and so on, and so on. Who taught you the nursery rhymes you know??? It was thus the same with the ‘rymes of Robyn Hode’. He was originally a people’s hero, and it was the common people who ensured that tales of him and his merry men survived to the present. Tales of his deeds and exploits were passed down from generation to generation. No one knows who the original author of all the medieval Robin Hood tales were, their names are lost to history, but these ballads and rymes have survived thanks to word-of-mouth transmission between generations. William Langland’s Piers Plowman ebook. Bodleian Library Broadside Ballads Database. Perry, R. ‘The Printed Record of an Oral Tradition: Anna Gordon Brown’s Ballads’. Studies in Scottish Literature 38: 1 (Jan, 2012) pp.71-90.